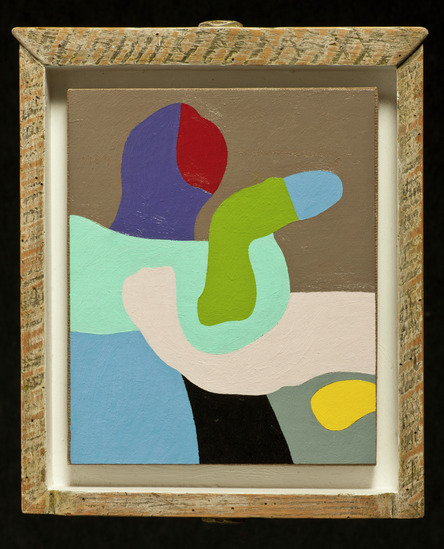 Frederick Hammersley: New member, 1989; oil on rag paper on linen; 14 1/8 x 11 3/4 x 1 1/2 in. ; BAMPFA, gift of the Frederick Hammersley Foundation; © 2019 Frederick Hammersley Foundation / Artists Rights Society (ARS), New York. 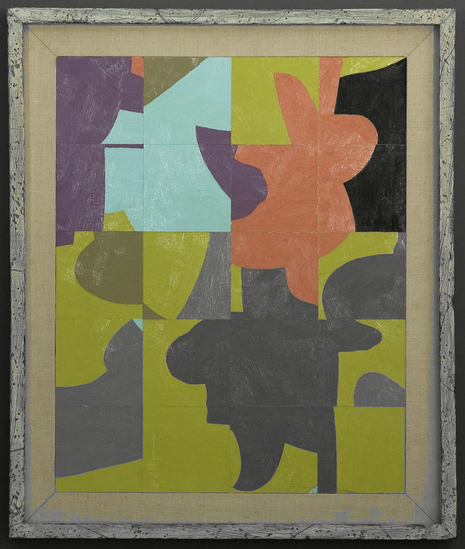 Frederick Hammersley: Me & thee, 1980; oil on linen; 24 x 24 in. ; BAMPFA, gift of the Frederick Hammersley Foundation; © 2019 Frederick Hammersley Foundation / Artists Rights Society (ARS), New York. 14 1/8 x 11 3/4 x 1 1/2 in. BAMPFA, gift of the Frederick Hammersley Foundation; © 2019 Frederick Hammersley Foundation / Artists Rights Society (ARS), New York. Frame: 24 x 24 in. BAMPFA, gift of Frederick Hammersley Foundation. 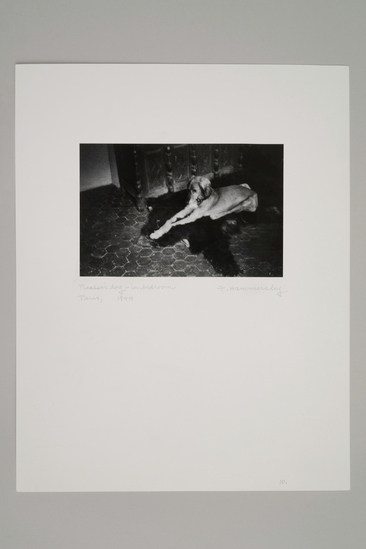 © 2019 Frederick Hammersley Foundation / Artists Rights Society (ARS), New York. frame: 26 1/4 x 22 in. 4 1/2 x 6 7/8 in. 10 ½ x 7 in. Born in Salt Lake City in 1919, Frederick Hammersley moved to the Bay Area at a young age and first studied art in San Francisco. Stationed in Paris during World War II, he took the opportunity to meet Pablo Picasso and Constantin Brancusi, as well as study at the École des Beaux Arts. Upon returning to the United States, Hammersley enrolled in the Chouinard Art Institute (which became the California Institute of the Arts) in Los Angeles. 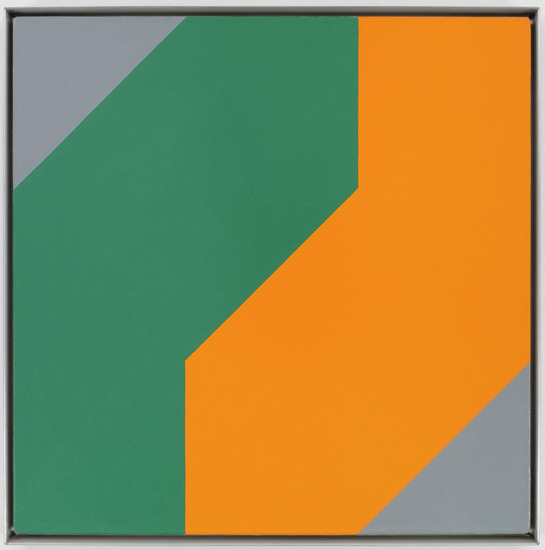 He was included in the groundbreaking 1959 exhibition Four Abstract Classicists, which launched the hard-edge painting movement and anticipated the style known as Minimalism. Hammersley worked in diverse media including photography, painting, printmaking, drawing, sculpture, and computer art. In addition to his geometric abstractions, he produced many eccentric and highly intuitive “organic” abstractions, filled with spontaneous curvilinear forms. In the late 1960s, after moving to Albuquerque, New Mexico, he became one of the first artists to explore intensively the possibilities for making abstract compositions using a computer. 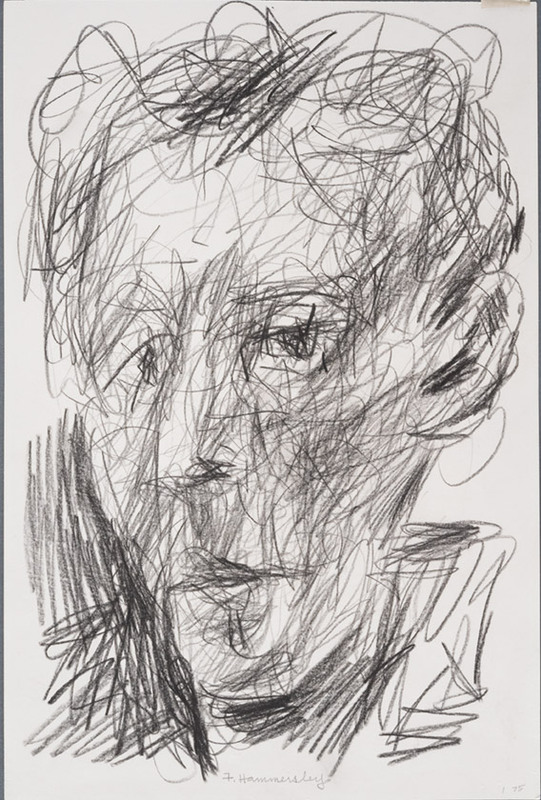 Hammersley also made many eccentric portrait drawings that suggest an altogether different sensibility, more aligned with expressionism or even Art Brut. This exhibition celebrates the recent donation by the Frederick Hammersley Foundation of a significant body of work, presenting key examples of the artist’s various modes and styles and offering a rare opportunity to experience his extraordinary creativity in its true breadth. Looking: The Art of Frederick Hammersley is organized by Director and Chief Curator Lawrence Rinder with Andrew W. Mellon Postdoctoral Curatorial Fellow Elaine Y. Yau. The exhibition is made possible with generous support from the Frederick Hammersley Foundation.